Have you joined a Christmas baking exchange? I have and I just love it! I love the idea of swapping recipes and traditions and goodies with friends and family just in time for the holidays. 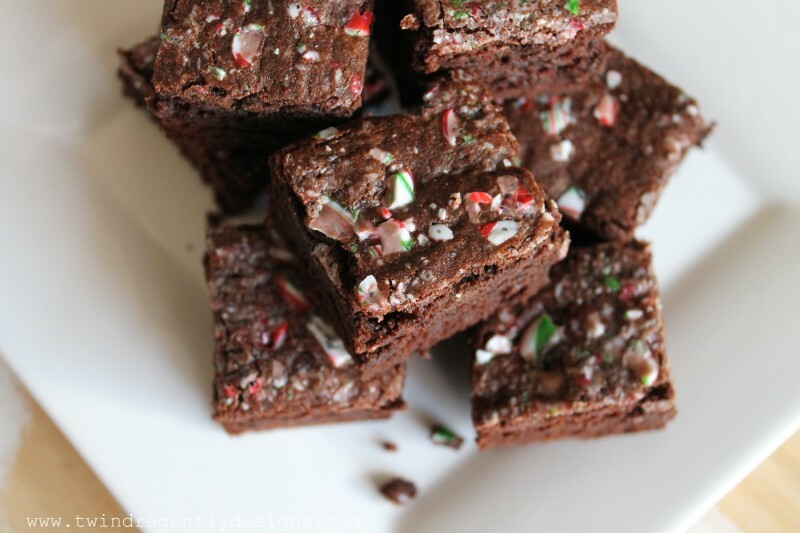 The brownie recipe that I am sharing today is PERFECT for baking exchanges because one batch creates a lot of bars and there are not a lot of complicated steps to making them. 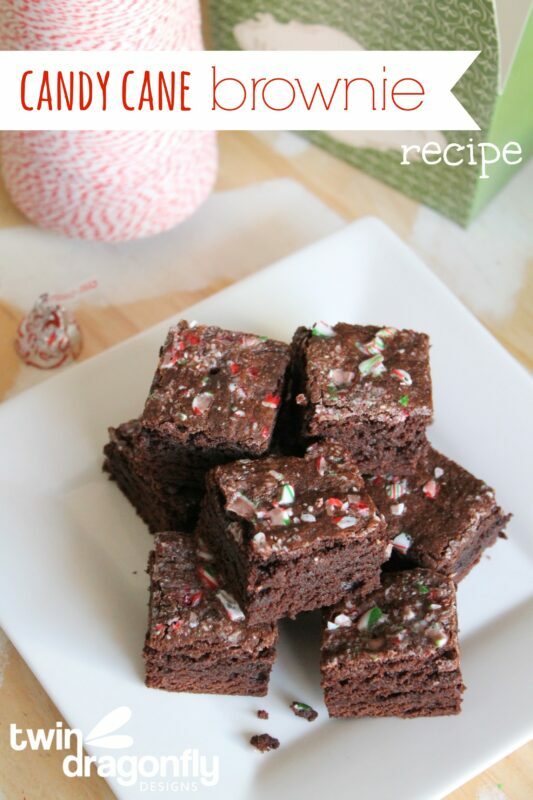 You are going to love these Candy Cane Brownies! 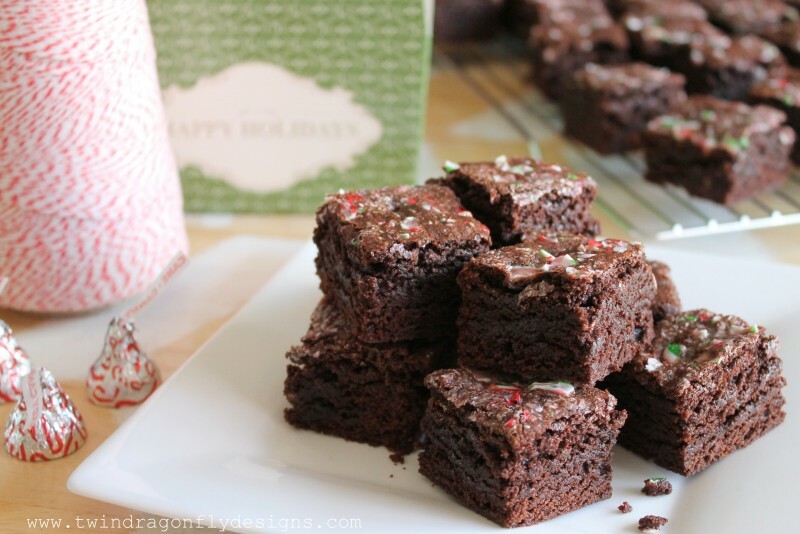 Each batch makes approximately four dozen brownie bars cut into 1.5×1.5 squares. Three batches of brownies should yield twelve dozen candy cane bars. This is perfect for our annual baking exchange where each baker is asked to bring 12 dozen goodies. Melt butter and mix with cocoa. Add eggs, vanilla and peppermint extract. Carefully add flour mixture and combine well. 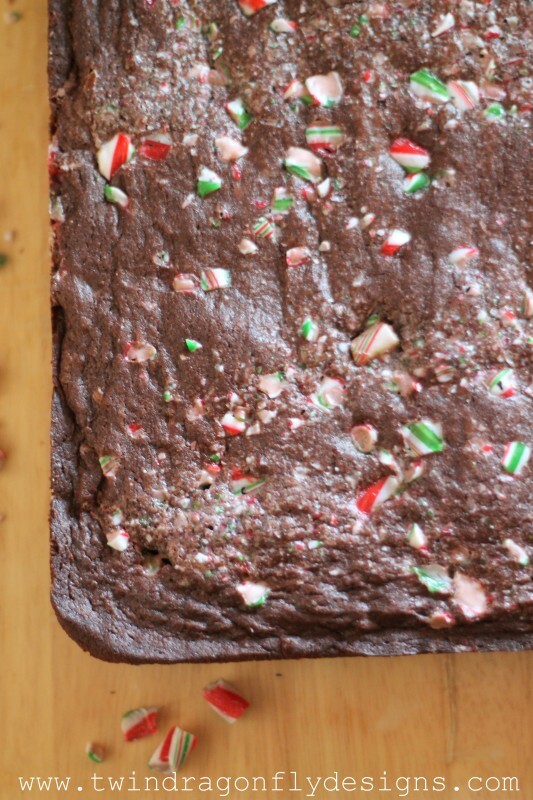 Pour batter into a greased 9x13 pan, spread and smooth with a spatula, sprinkle with remaining candy cane and bake at 350 for 30 minutes. Allow to completely cool before removing from pan and cutting into squares. Be sure to allow the brownie to completely cool before cutting. I even put ours in the refrigerator. Once it is cool, carefully pop it out of the baking pan and lay it on a cutting board. Using a large knife cut the brownie into bars. I use our largest kitchen knife (not serrated) and cut with a chopping motion (like a paper cutter) and wipe my blade clean between slices. This allows you to get clean, crisp edges and helps to prevent the brownie from sticking. I mean, how festive are these?! And they taste delicious too! 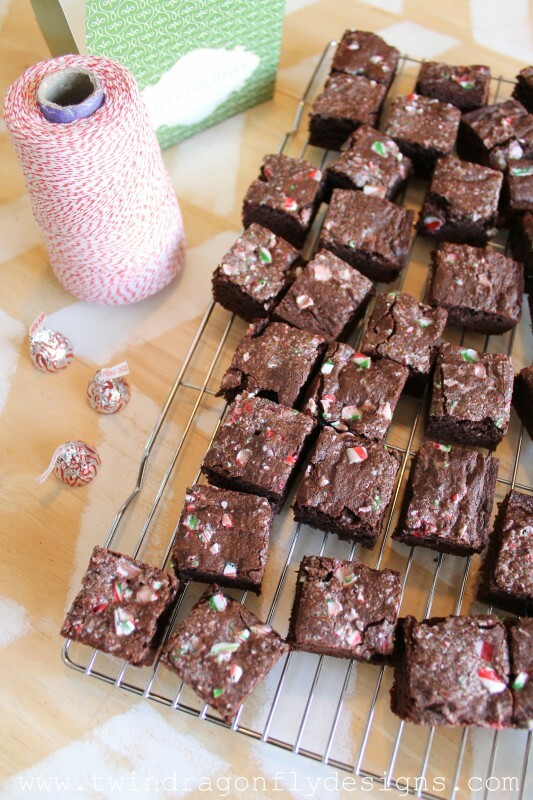 A perfect brownie with hints of candy cane and peppermint. Fabulous recipes Heather. I am sorry I have nothing to share at the moment.